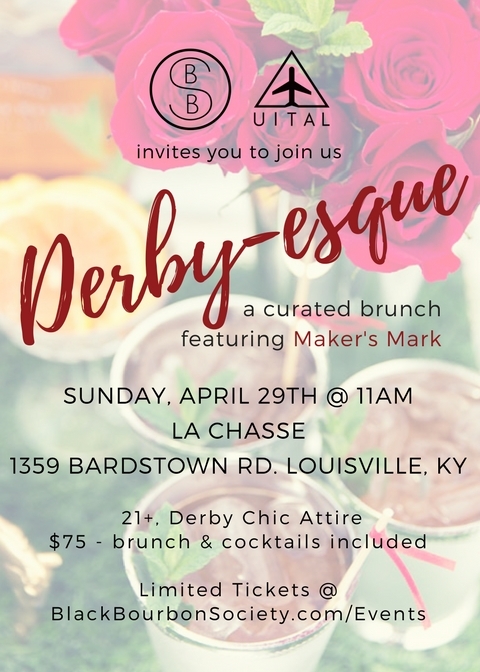 Please join Black Bourbon Society and Up In the Air Life for an exclusive Derby brunch featuring Maker's Mark! This private event features an open bar with specialty cocktails featuring Maker's Mark and a 3 course brunch. Come dressed in your best Kentucky Derby digs and be ready to party! We will have a 'Best Dressed Man & Woman' competition along with other great games and giveaways. Advance ticket purchase is required. LIMITED SEATING. Must be 21+. As always, please drink responsibly.